Now, we all want smarter, more automated, self-optimizing infrastructure—especially with storage. But Mike Matchett, Senior Analyst at SearchStorage.com, says he doesn’t see storage infrastructure components engaging in a human conversation with people anytime soon. However, what storage vendors are doing is inserting intelligent algorithms into the storage layer directly to readily tackle the huge scales of information available and produce near real-time feedback to the business side of your organization. To that end, there are a few trends converging on storage that are enabling this intelligence evolution. 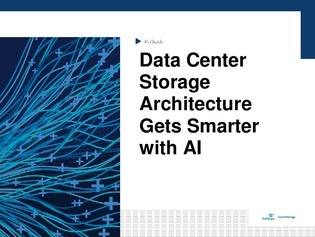 Read on for the remainder of Matchett’s piece and to view these 5 trends evolving intelligent storage and AI.